Crown thinning is the selective removal of branches to increase light penetration and air movement and to decrease branch end weight. As trees grow they often produce far more branches than are useful to them resulting in dense canopies with long, poorly tapered limbs with all of the foliage at the tips. Selectively thinning branches allows the remaining branches to thicken up and encourages growth on the interior of the canopy, improving the structure of the branch, thus mitigating against failure. 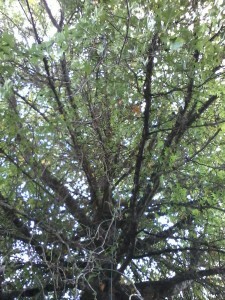 Crown thinning is appropriate in some cases to increase overall porosity of the canopy to wind and weather, thus decreasing the chances of blowdown and storm damage. Such pruning is sometimes referred to as wind thinning. New research suggests that in some cases wind thinning may bring about more branch failures (not less) due to greater movement and windloading of individual branches. A nuanced approach to each individual tree in its circumstances is called for. My own feeling is that for large trees such as Douglas firs, it is entirely appropriate to thin the canopy of some end weight to decrease the overall windsail effect on the stem. 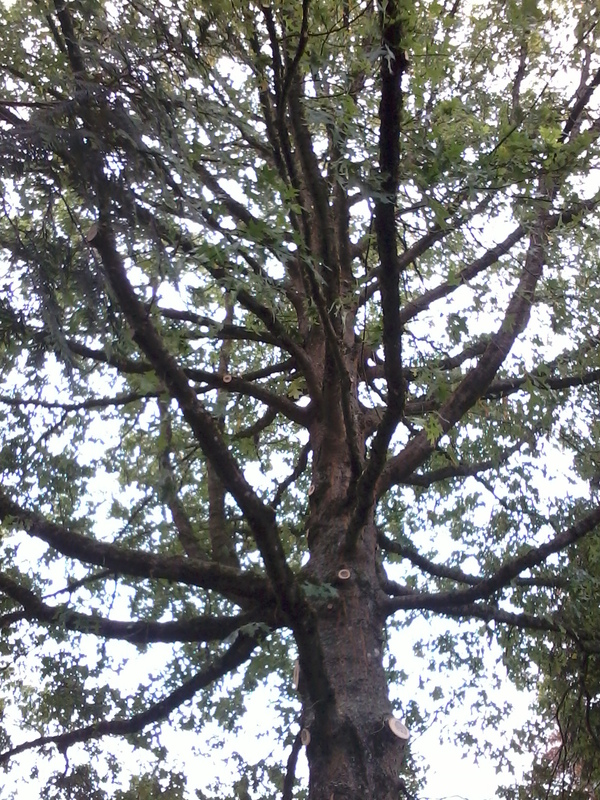 Again, thinning the canopy should be done so as to decrease the probability of branch and whole limb failure, not to exacerbate it. Some trees are genetically predisposed towards excessive growth which eventually dies back as the canopy line moves further out and the inner branches are shaded out of competition. 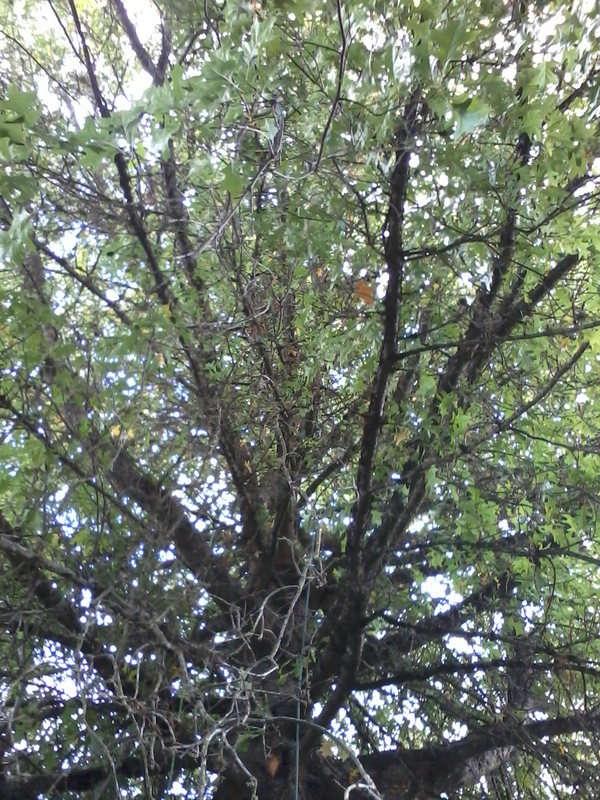 Here is an example of the interior of a Pin Oak (Quercus palustris) that we recently thinned through proper pruning.